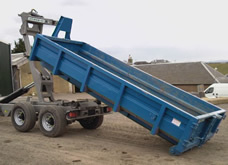 We pride ourselves on supplying a prompt, reliable and helpful service at all times, we are confident that the quality of our equipment and standard of service is second to none. 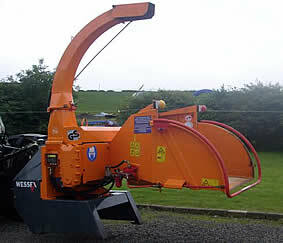 We have an in house welding and fabrication services for buckets and attachments. Driving is the most dangerous work activity that most people do. 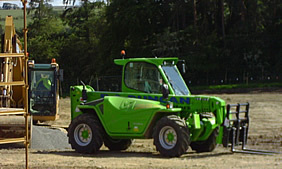 It has been estimated that up to a third of all road traffic accidents involve somebody who is at work at the time. There are more than 10 fires on construction sites every single day. Every year 700 people die or are seriously injured falling from vehicles. On average, work in confined spaces kills 15 people every year in the UK. Your staff may be at risk without even realising it. Make sure your inspections and reporting systems are effective. Simple steps that will help you stay safe while lifting. Advice For Employers - Protect your employees from the dangers over noise exposure. 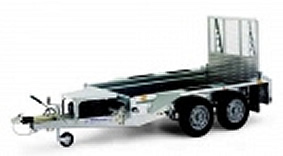 1998 Regulations (PUWER) - Are you up to date? 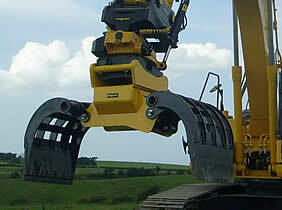 Nearly a quarter of all deaths involving vehicles at work occur while the vehicle is reversing. Personal Protective Equipment (PPE) Essential advice and helmet do's and dont's for all employers. 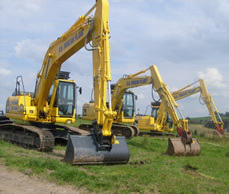 Every year, people are killed or seriously injured when working in excavations. 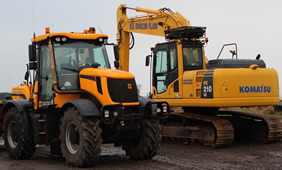 These types of accident account for a huge proportion of lost man hours on building sites. 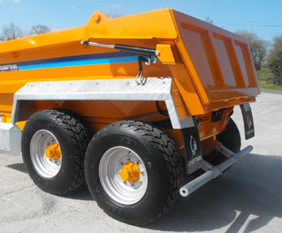 This section outlines the precautions necessary to ensure the safe use of compact dumpers. 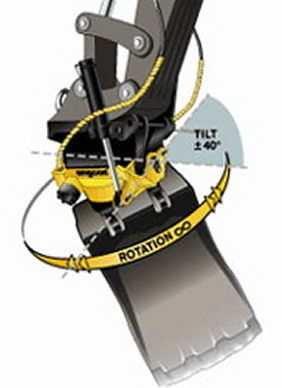 All your working at height questions answered. 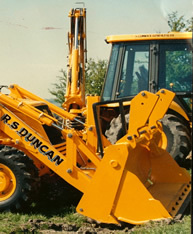 RS Duncan Plant Hire specialises in the hire of excavators and plant equipment, both operated and self drive in Ayrshire, South West and Central Scotland. 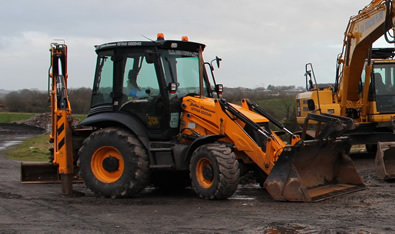 Backhoe loader provides a wide choice of power, performance and features to suit your needs. 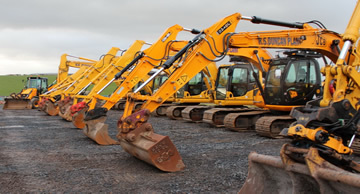 Our tracked range comprises mini, midi, zero tail swing and crawler excavators.